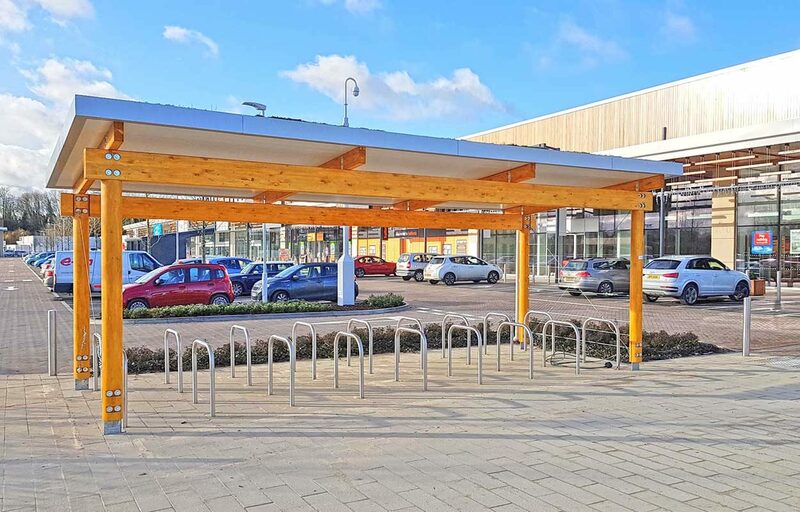 Fordingbridge understand how the provision of cycle storage can form part of the site travel plan, which has been developed to mitigate the negative transport impacts of development in order to promote sustainable development. 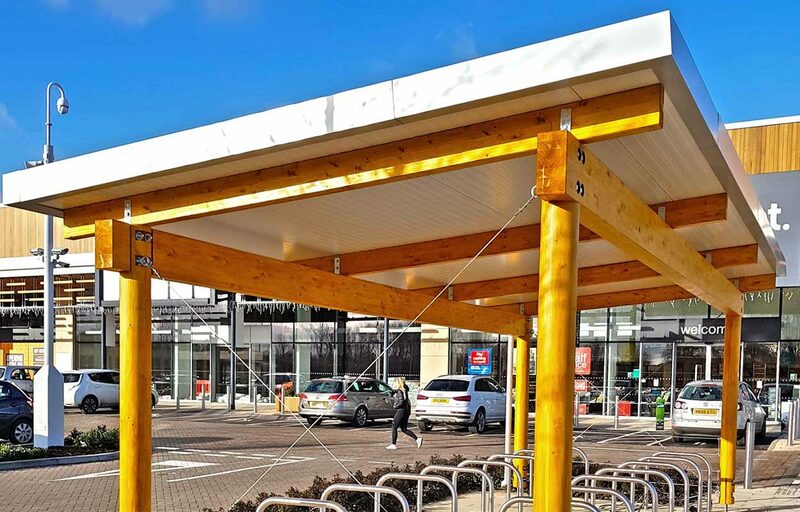 Elliots Field was awarded an outstanding BREEAM rating in addition to becoming the first shopping park globally designed to be carbon neutral. 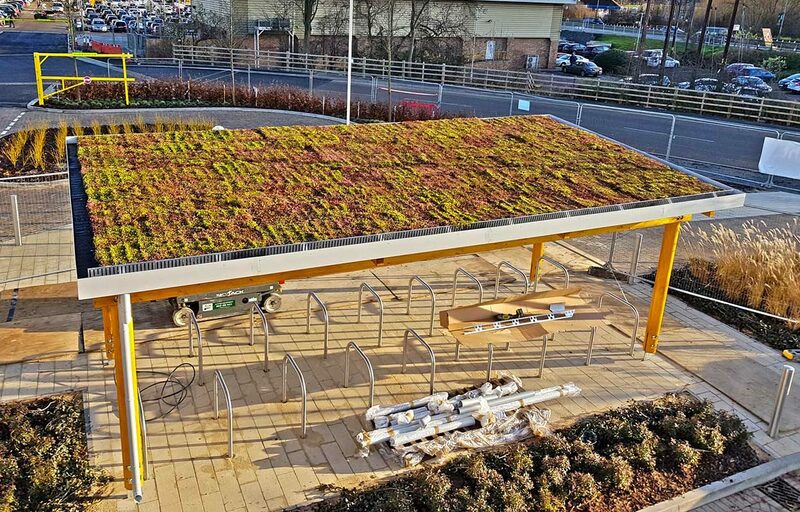 We worked with the main contractor to design a sedum roofed cycle shelter which offsets some carbon emissions and collects extra BREEAM points. We delivered the install on time and within budget. The cycle shelter has lighting which will allow safe and easy use in all hours. 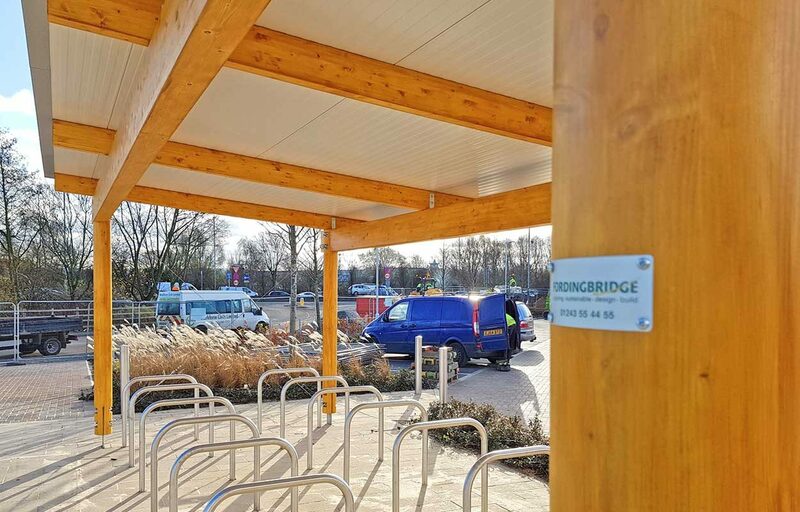 Fordingbridge have the in-house design and build capacity to create cycle shelters to fit all criteria.